Inspired by the local food scene, Jane Maguire and John Quigley saw a need for a farm that hadn’t previously existed on the East End. 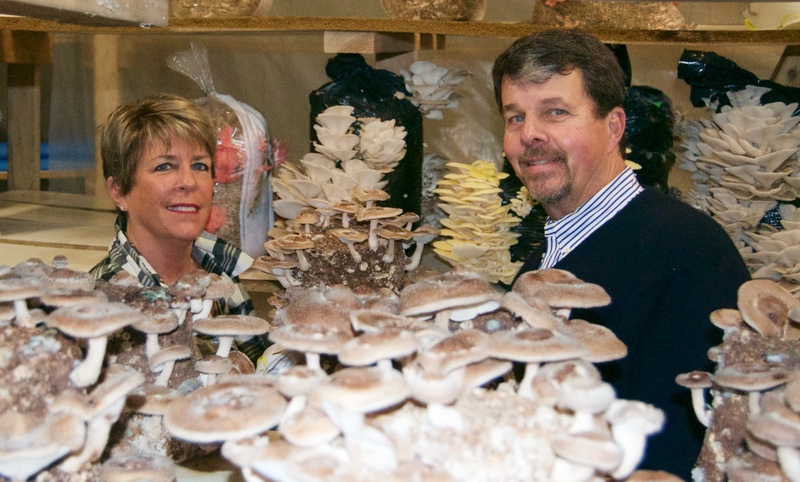 Surrounded by boundless agriculture, the couple decided to start growing mushrooms and open their own farm. The East End Mushroom Company was founded in October 2012 with a mission of growing mushrooms, specifically the Shiitake, Maitake, and Oyster varieties, and offering them to everyone from famed local chefs to enthusiastic home cooks. Grown in a state of the art facility, mushrooms are picked daily to ensure incomparable freshness. The East End Mushroom Company is the premier grower and purveyor of the finest mushrooms on the East End of Long Island, New York.